Downtown sky line from Civic Space Park, capturing several elements of the built environment. The built environment includes all of the physical parts of where we live and work. Buildings, streets, open spaces, infrastructure, and even public art are elements of the built environment. Architecture, engineering, and construction all contribute to the built environment, but outcomes are often enhanced by collaborative dialogue between the professionals in those fields and residents of the communities in which they build. There are also several layers of policy decisions that inform the creation and adaptation of the built environment, and everyone should have a seat at the table. Conventional development has two main actors: the team of private development professionals and the multiple levels of government that create and enforce policies that dictate what developments can be built and where. When spaces are created by development teams in collaboration with the neighbors and businesses in that community, the process becomes one of co-production. This process of co-production results in more vibrant communities; higher levels of economic productivity; and residents who feel connected to their place, ultimately empowered to continuously improve it. Two recent co-productive developments have greatly strengthened the core of Central Phoenix - check them out below! an adaptive reuse project by Venue Projects and John Douglas Architects, is an early example of development co-production in the City of Phoenix. 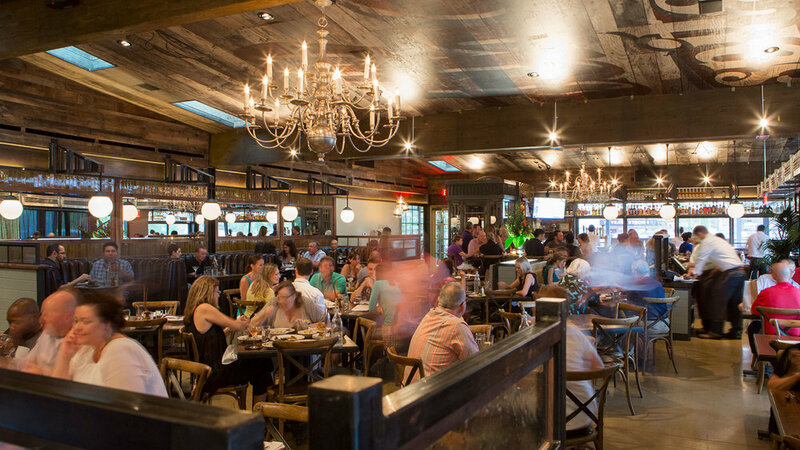 What was formerly Beef Eaters restaurant has been transformed into a thriving mixed use project that anchors the North West corner of Third Ave. and Camelback Road. Several mechanisms of creative development were deployed to make it exceptionally successful, but two stood out as the most effective. Rather than simply creating commercial spaces to be leased by tenants, Venue sought businesses to be anchor tenants, making them co-developers and co-investors in the project. This increased the businesses’ stake in the development and brought the voices of their patrons into the conversation. Engaging with surrounding neighborhoods to reimagine the old restaurant space together, Venue created a space that was guaranteed to be well-received and supported by the surrounding community. This engagement also made it easy for city staff and elected officials to work with the development team to address issues faced throughout the process. just around the corner from The Newton, underwent a similar revival in 2015. Vintage Partners, in collaboration with Nelsen Partners, Kitchell Contractors, and Floor Associates, revitalized the 1955 Del Webb icon and put the voice of the community at the forefront of the project. That extra care taken to work with community rather than simply tell them what they’re going to get, is what ensures the success of commercial projects such as Uptown Plaza. Without those collaborative efforts, local favorites such as Huss Brewing might not be able to find a place in projects that benefit from so greatly from having them. Both of these projects were led by visionary developers, engaged neighbors, and city officials who are moving Phoenix forward. The other common denominator is For(u)m, Local First Arizona’s smart development initiative. For(u)m promotes the growth of civic engagement and pride around thoughtful, sustainable, walkable, and inclusive infill development in the Phoenix metro area, with a particular focus on the Phoenix, Tempe and Mesa urban cores. Whether you are an individual, neighborhood organization, or development oriented business, engaging with For(u)m enables you to be a part of the urban transformations happening all over Arizona. Interested? Join us! Getting involved is just a click away.